In general, Americans don’t pay much attention to holiday-themed wines. They have limited appeal and quit honestly, they usually aren’t very good. Halloween is just around the corner, which means parties, gatherings and ghouling decorations are in fashion. 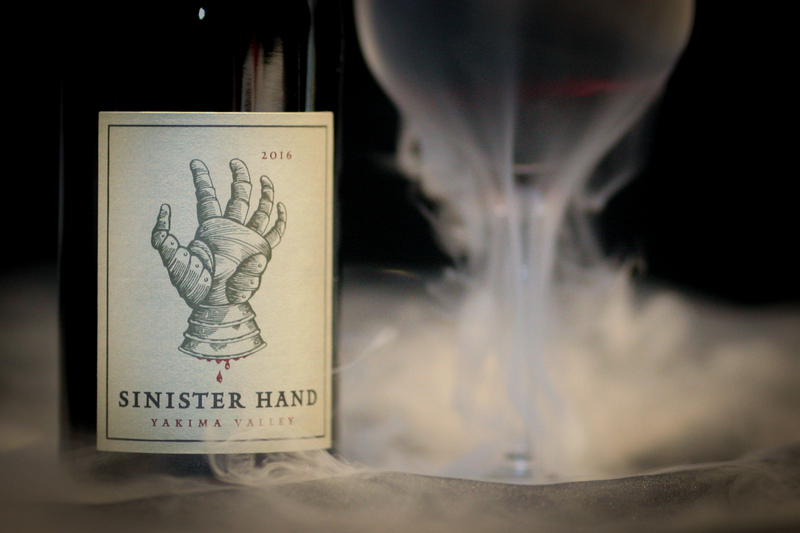 While not a holiday-themed wine per se, Sinister Hand, a Rhone-style blend fits the theme and is available year-round if you can find it; it sells out quickly. Master story-teller David O’Reilly, owner and winemaker creates wines with labels that have a connection to what is in the bottle. 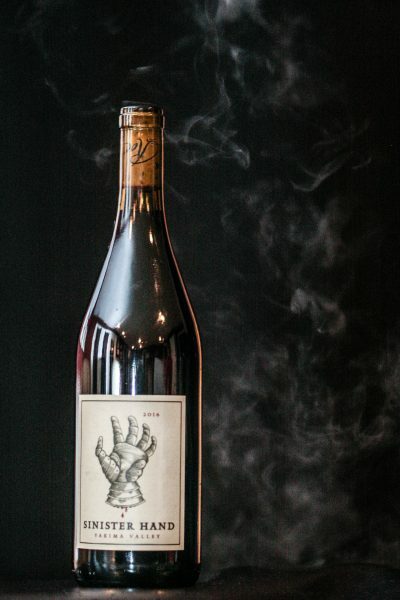 The label is an image of a bloodied hand representing a story that has been in the O’Reilly family for centuries. The legend dates back to the 17th century, when two rivaling Irish families, the O’Neills and O’Reillys conceived a rowing competition for the rights to a piece of highly-regarded land. The families agreed that the first to touch land after rowing across the lake would become ruler. On race day, the O’Neills’ boat couldn’t keep up. Rather than ceding the race, a member of the crew cut off his own hand and threw it to shore, becoming the first hand to reach the bank. This act won the O’Neills the title to rule the land, whichstill remains in the family today. This wine was created to honor the tale. A Rhône-blend of 63% Grenache, 16% Syrah, 16% Mourvedre and 5% Cinsault from four Yakima Valley vineyards offers aromas of dark red fruit. The wine exhibits layers of complexity from start to finish. The Grenache creates cranberry notes with a hint of pepper while the Syrah presents dark fruit flavors, predominantly cherry. The Mourvedre gives body to this beautiful plum-red wine. The magic seems to be the Cinsaut which comprises only 5% of the blend. The Cinsaut grapes are put through a process called carbonic maceration which means it is fermented in a sealed vessel that has been filled with carbon dioxide. This process results in a wine that is fruity in aroma and flavors, which fits the profile of the Sinister Hand perfectly. It is a medium bodied wine with soft tannins and a silky-smooth finish. The elegant flavors show a striking sense of freshness and purity that keep you coming back for more. Of course, you really can’t go wrong with any of the Owen Roe family of wines. This wine is ready to drink now or could be cellared for years to come.